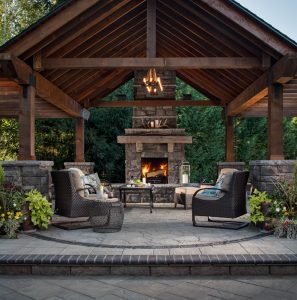 Professional project management and oversite, is a hallmark of our total client commitment to excellence here at IVY STUDIO LLC, a Massachusetts based outdoor design and build firm that has redefined traditional outdoor design and implementation methodology. Complex outdoor expansion projects with hardscape and landscape components necessitate ongoing professional oversite and management, and this is the third tier of out process, reinforcing and cementing the prior planning and designing elements. A professional project manager is assigned to oversee your project and works hand in hand with you, your design professional, the skilled artisans on each and every phase to ensure that your wellbeing and design integrity are taken care of every step along the way. This way, our collaborate approach, allows us to stay on top of all the details on a daily basis and facilitates for svelte in field adjustment without any surprises, maintaining the design integrity and minimizes costly mistakes. To find out more about our planning, designing and managing of your next outdoor expansion project, contact us at 781-760-0246 or vern@ivystudioMA.com.